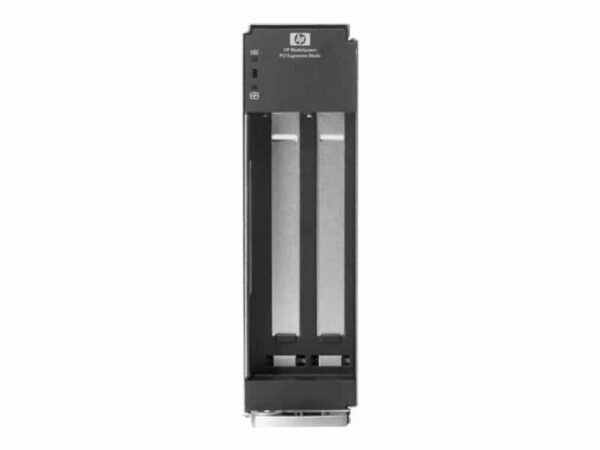 The HPE BLc PCI Expansion Blade Provides PCI expansion slots for HP BladeSystem c-Class blade servers. Qty 1, The HPE BLc PCI Expansion Blade by Hewlett Packard Enterprise can hold one or two PCI-X cards. Front panel LEDs indicates power and system health status. The PCI Expansion Blade and its PCI boards are managed by the adjacent server blade and its operating system.